Do you find it difficult to contribute in meetings? Do you find yourself giving in to others unnecessarily? Do you let others put you down? Or are you too forceful? 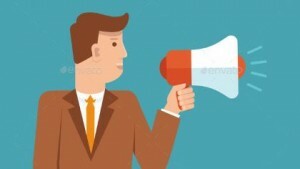 Can others speak to you openly and honestly? 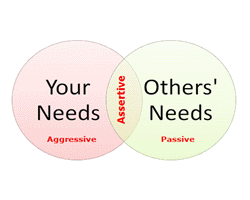 Both passive and aggressive behaviours can be obstacles to working effectively with others. We can help you understand your own behaviour and its impact, to respect your own needs while respecting the needs of others. I found this course to be quite revelatory – I learnt a lot about myself and also some tools I can use in the future. Paul is a very supportive facilitator and made me feel that my thoughts & feelings were relevant when discussing sensitive issues- fantastic- want to do the course again! Our wide variety of training programmes will result in better motivated and more effective people. Whatever the size or structure of your organisation, we can help you to get the best out of your people. Excellent course. Great facilitators that take the time to know you - a nice personal touch. Made me feel welcome and at ease to contribute. Thank you! I really enjoyed the last 2 days. I feel very calm. I will see the world with new eyes! Thank you for an excellent two days. Very interesting and lots to take away and apply! Very enlightening, a real insight in how my team and I communicate. I now understand why we sometimes miss-fire and we can start to correct this and become a more effective team! The two days were full of energy and very productive. I would recommend this workshop. Very informative in a relaxed, safe environment. Very enjoyable. It was great, gave me lots to think about. A powerful tool indeed. It was very useful & enlightening and I will be recommending it to my colleagues. Many thanks. This has afforded me some valuable insights into my priorities and preferred styles. Hopefully I will now be able to communicate better with my daughter and understand better why what I say has little or no effect! I have learnt a great deal about myself and others. A very well presented, simple and useful guide to effective communication. Appropriate for all levels of management. Very professional & relaxed manner of delivery. A good, well balanced course, time well spent. Really enjoyed the course. Facilitator was very experienced and knowledgeable on the subject. Excellent tutor! Listened to our points of view and responded. Really enjoyable 2 days, I can now apply what I have learnt in my job. I am much more confident in applying my project management skills. Thank you for a very stimulating two days. It was not a subject I had encountered before and has spurred me on to apply it to various areas of my life. Excellent session. I have learnt a great deal which made me aware of my own strengths and weaknesses. I was maybe expecting it to be a bit more ‘touchy/feely’ or Positive Mental Attitude (all zeal and no substance, not that I don’t believe in having a positive attitude) and wasn’t really looking forward to this so glad it wasn’t like that. This first day was probably the most enjoyable and informative days training I’ve had in years. I thoroughly enjoyed the whole experience. Paul & Liz are a joy to work with.